It's not a bad thing, having another LEGO tie-in game. Starting in 2005, the LEGO games really kicked off with the console launch of LEGO Star Wars: The Video Game, and have only perfected their craft since. LEGO and its game developer, Tt Games, have gotten their oddly shaped LEGO hands on all sorts of properties: from Rock Band (?) to Indiana Jones, to both giant superhero properties. But of course, we’re not here to talk about any of those huge, well-recognized properties. No, this is The LEGO Ninjago Movie Game, the first co-developed title of an in-house property at LEGO besides LEGO Worlds. I beat the game in about a day and a half, playing mostly on my own. At one point, I decided to have a little party of it and my friends were genuinely impressed with the graphics. Words like, “Beautiful,” and phrases like, “Holy crap, that’s pretty,” were not uncommon. I am in full agreement. LEGO games have come a long way. Due to the seeming simplicity of the environments, this game, in its own way, is probably the prettiest game since Horizon Zero Dawn. Cityscapes, jungles, ash-strewn battlefields (fire included), and snowy mountaintops are among the many locations. The city, which takes up a good chunk of the game, is the one where it’s clear the most work went into. In the beginning, characters are flying around on mechs, zapping enemies. In the middle and end game, they’re dashing around the city blocks. All the while, they're taking out the Garmodon’s villains with all their ninja skills. It pays off, making for a fun environment to play in. The level design is also fairly linear. A few small sandbox-like areas are ripe for exploration. They're filled with bonuses, like golden bricks that unlock extra play areas, and LEGO packets filled with alternate skins and characters. There is a familiar pattern with all the different environments (the jungle, city, and snowy mountains). But with the different functions used to get across the maps, the designs across the board are diversified. Speaking of the game, and this review, what type of game is this? Well, it’s a family drama, with action and comedy interspersed to keep up the tension and emotional weight. It’s also a tie-in, like many titles co-developed with Tt Games. I did not see the titular LEGO Ninjago movie, and it turns out I didn’t have to. There are cutscenes of the movie inserted next to game cutscenes. So, I assume that the game’s plot follows the movie’s plot faithfully. Without spoiling too much of either, the story has to do with a torn family relationship, and the attempts on the protagonist’s behalf to mend that. The writing does a good job of letting me inhabit the character and experience their feelings. With that said, the protagonist, Lloyd (pronounced L-loyd, and he’s green), is without a doubt the main emotional focus of the game. Here’s why, in the case of the LEGO games, that’s so interesting. The function of the game, the same as all its predecessors, is that the player can control the other “main” characters. 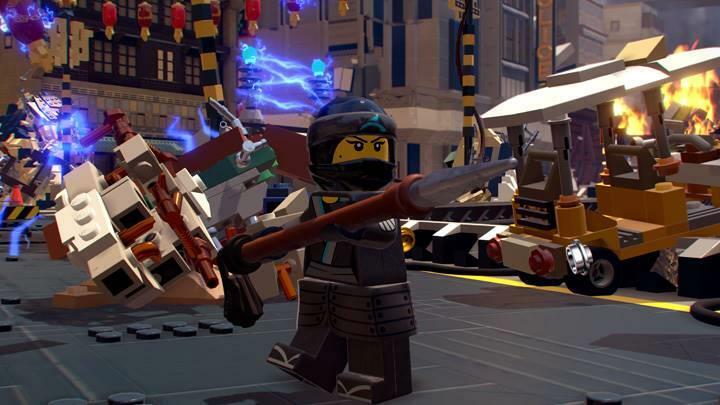 These include the spear-wielding Nya, the bo staff-wielding Master Wu, the robot character Zane, the hammer-wielding Cole, the dual sword-wielding Kai, and the hook-wielding Jay. (Whew, that really was a lot to remember). It is a fun and all-too-critical component in many LEGO games that players get to control other characters. Not only is the use of other characters necessary to pass various obstacles, but it’s also just a lot of fun smashing a tank enemy with Cole, then switching to Nya or Kai for a quick combo to finish it off. These fun characters that serve critical function are also where the game falters. I can’t define any of these characters beyond how they fit into the plot of the story. Apparently, Lloyd, Nya, and Master Wu are all related. There may be even more unclear family relations that I don’t know about. This is where prior knowledge of the franchise would come in handy. It would boost understanding of what is going on, and provide appropriate context for the characters and their relationships to each other. The game doesn’t do anything to inform the player of this, but it doesn’t exactly hurt the enjoyment of the game. The main story is very relatable and tugs at the appropriate heartstrings for a kid’s/family movie. While the nonstop bombastic LEGO explosions, comedic digresses, and desire on behalf of the player (at least in my experience) to get to the next level, all partake in the excellent level design so players can just destroy all the enemies. Part of what makes LEGO games so fun are the fun, crazy activities players can partake in, though. Two of the most fun things that come to mind are the beginning and the end of the game. One is mandatory and level-based. The other is optional, extra content that players can do after they have beaten the game. The first comes at the beginning of the game, during the initial city sequence. Players can control a range of mechs that belong to the characters. 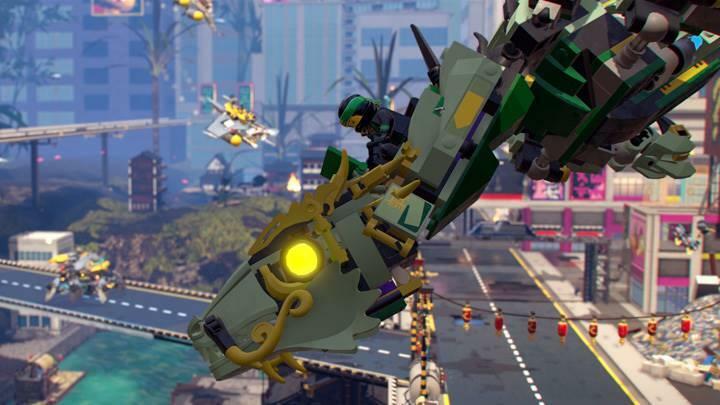 Protecting the city in an on-rails sequence, players zap enemies out of the sky with their laser doohickeys and didgeridoos, knocking Garmadon’s various vehicles out of the sky. SPOILERS: That only happens, to my knowledge, in the beginning of the game. 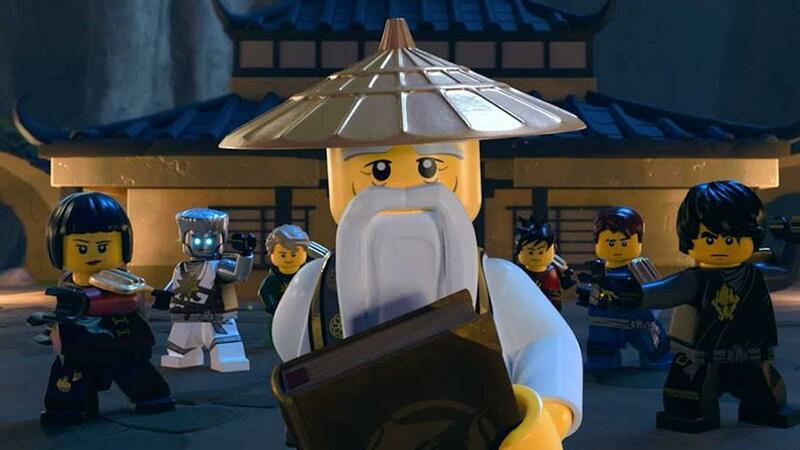 Of course, the reason being is tied into the story (no, Garmadon does not go EVA, he just destroys them). It put a bit of a damper on my gameplay. I wanted a little more out of the mechs than I got, because the movement and gameplay accompanying this sequence were so electric and engaging. In retrospect, it’s understandable why they cut it out. You can’t have too much of a good thing. There is a sequence that makes up for it after the credits, but too much has been revealed already. The point is, there are some terrific, fun sequences that can only be experienced in replaying specific missions, rather than taking the root of retreading the walking, hitting enemies, and doing the odd boss fight. The second tag is the replayability. For the most part, this comes from going over levels to find outfits or gold bricks to open secret areas. One of the ways to do this is by participating in dojos. These are wave-based cutting galleries in which two players can control pre-selected characters. These are pretty fun. Each is designed differently, sometimes with respect to the specific locale it is found in, sometimes not. The only thing is, with the exception of solving small puzzles and taking up the challenge of fighting harder enemies, the extra content is largely devoid of what I would call meaning. It is essentially just playing for cosmetic upgrades. Not that those cosmetic upgrades aren’t nice, it’s just that the optional content is there to fill space, but with a nice scent. Either way, there’s lots of endgame content to keep the good times rolling. 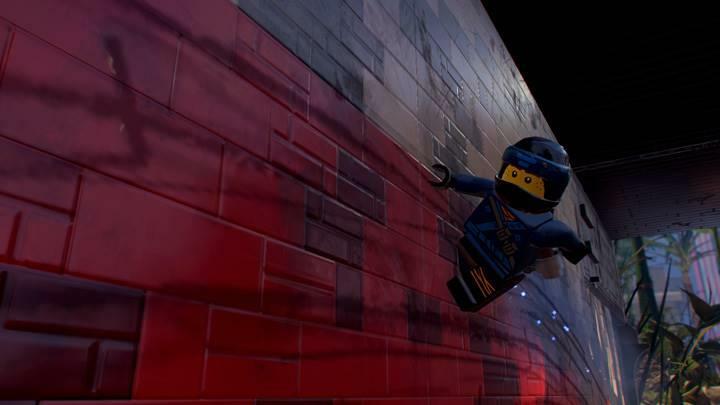 The LEGO Ninjago Movie Game doesn't try to be anything but fun. 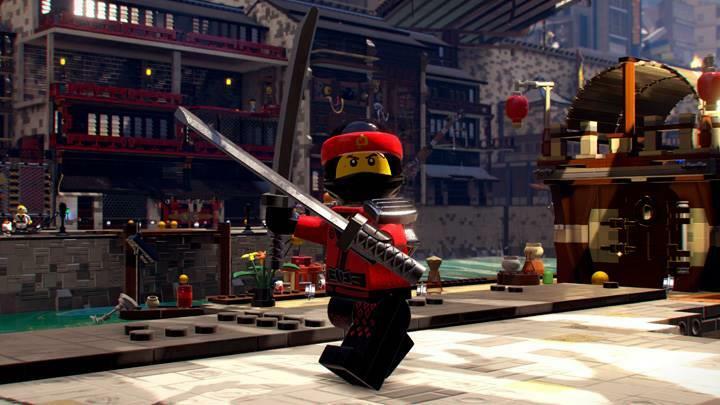 There will always be another LEGO game coming out very few months. But this one is pretty good. The LEGO Ninjago Movie Game is a terrific contribution to the LEGO games playlist. It's a fun experience without needing to be anything else. It can err on the side of triviality at times, but that's the cost of making a game like this.